Duncan Aviation has built and maintained one of the largest business aircraft parts inventory in the industry. Our team of aviation professionals has the experience, contacts and connections to identify and secure some of the hardest to find business aircraft parts. Because of our long history and experience with the Learjet aircraft, we know the most commonly exchanged parts and keep an inventory available to meet customer needs. Below are some of the more commonly exchanged life-limited parts on a Learjet airframe that have been known to not make the next Time Before Overhaul (TBO). 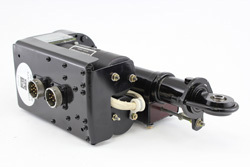 The stab actuator adjusts the horizontal stabilizer to provide longitudinal trim. 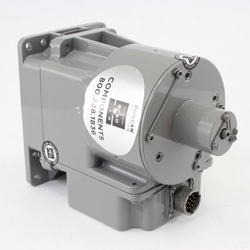 The actuator comes due for overhaul every 600 hours. Failures that sometimes occur are unit trips autopilot off line, & no manual trim. The modulating valve regulates the mixing of bleed air to control temperature. If it becomes stuck open or closed, aircraft cabin temperatures can become uncomfortable. The value is spring-loaded and sometimes fails to compress on run-up. It is not uncommon for these valves to leak over time. 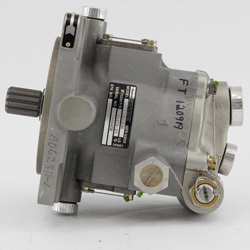 The hydraulic pump controls the flow of hydraulic fluid through the system. Hydraulic fluid leaking at the drive shaft is a symptom of the nose seal failing to make a proper seal. 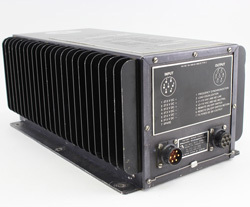 The static inverter powers all onboard instruments that need aircraft power. Failures include unit being intermittent, pops breaker, and low or no output. The nose wheel steering servo controls the rate of turn while aircraft is being taxied. Common failures are time change, pops breaker, low torque and pulls to the right or left. Duncan Aviation is constantly adding to its inventory to ensure customers have a true one-stop shop when it comes to acquiring parts or exchange units. 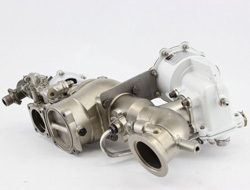 Search our on-line inventory for aircraft parts and inventoryavailability or chat live with a Parts & Rotables Sales Rep. Our international business aircraft components solutions experts are available 24/7/365 and can handle any business aircraft system problem with immediate parts exchanges. Larry Stewart is a Rotable Inventory Manager located at Duncan Aviation’s Lincoln, Nebraska, facility. He specializes in the Learjet and Citation airframes. His aviation career began in 1973.